CLICK ON THE LAST PHOTO ABOVE TO WATCH OUR VIRTUAL TOUR!! 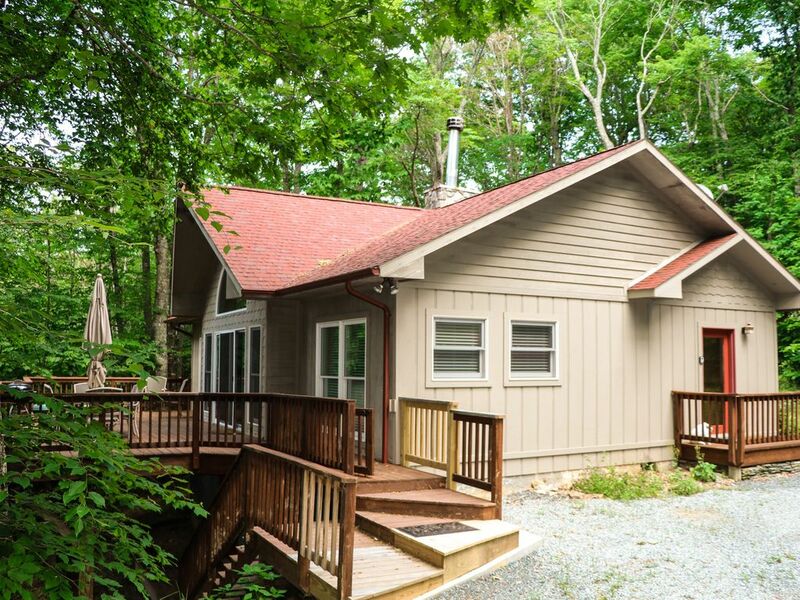 This vacation cabin offers great wooded views, plenty of space and the tranquil setting needed to rest, relax and recharge! The cabin is nestled in the woods at 4,205' elevation. We have added new queen mattresses in the master and guest bedrooms, as well as new comforters and pillows. Master Bath offers double sinks, soaking tub, huge shower and plenty of room. Guest Bath has single sink and full size shower. Downstairs Bath has single sink and full size tub and shower combination.